I played Silloth on the 12th May 2004 with two friends of mine that had never played there before. I had played there before but several years ago. I must say that the weather was very calm and sunny and not like the winds that you would expect to find on a course that was constructed 100 yards from a beach. The condition of the course was fantastic, a true links experience with not a flat lie on the whole course. The greenkeeper said that he was unhappy with the greens, but they were the best greens I had played on in several years such is the standard expected at Silloth. The gorse was in full bloom and the course was manicured. 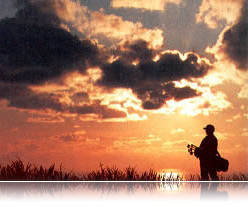 It is a must play course, make the effort to get there you wont be disapointed. It is on the Open qualifying rota again this year not bad for 32 pounds sterling for a days ticket. Outstanding and the best value I have ever seen - half price if you tee-off after 5pm weekdays £14 during 2002 - watch out for competitions such as Open qualifiers which give you a clue just how good it is - take plenty balls - I play off 22 and can lose on average 7 per round! I played this absolute gem of a coarse whilst staying in the area on a family holiday. My father in law and I set off and played early in the morning, returned back to our cottage for lunch with our wife's, got back in the car, drove to back to the coarse, and played it again!!! A superb golf coarse that I will be revisiting, excellent fairways, greens and tees, friendly, and never dull! It took a good two-hour trip to reach this course and I'd do it again too. 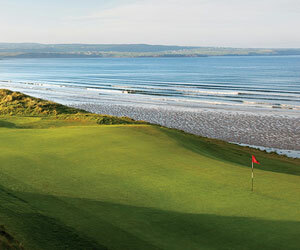 A real peach of a course offering great golf holes, wonderful views and a great 19th hole. Congratulations to the owners of this fine course. I stayed in a caravan adjacent the golf course with wife and two daughters, and guess what, I happened, to have my golf clubs in the boot of the car. We walked over the course to the beach on the first evening, and I was gobsmacked by the quality of the course and the superb layout. Then I realised we were only on the practise ground, so I thought the course must be something special. I engineered our next days excursions so that we returned to base at 2.30 p.m., they all needed a rest, so I said I was going out for a walk and would be back in about four hours, which was completely true if slightly economic. I paid the £26 and set out, and promptly lost two balls on the first hole, one left and one right, not the best of starts. But the course was in excellent condition and has a great layout and the views are breathtaking. Like any good golf course, you always want to go back, once you have an idea of where you're going, so having covered the first nine in exactly one hour I was beginning to think about going round twice (sad I know). I got stuck behind a four ball on the back nine (how can they be so slow) and the round took three hours. I returned to take the family out for the evening ( ever the family man), but my mind was still on my 75 earlier in the day. Next time I think I'll keep score on the back nine as well. My wife and I played Silloth on 13/6/01. The course is probably the best I've played in this country The course was immaculate, tee boxes and greens perfect. Every hole is a challenge and has to be thought through before playing. A hidden gem well worth the trip (from Manchester). PS. I shot a 77 with not a trace of wind on the course. A party of 9 from Thornhill in Scotland went on a day outing May 2001 ,excellent value only one complaint there is not enough holes ,you just dont want to stop. A sensational sporting arena the equal of any. I've played Silloth a couple of times, and for me it represents the purity of links golf at its very best - fast-running turf, quick and true greens, deep but fairly-positioned bunkers and a layout which requires you to hit every shot in the bag. Silloth will find you out if you have weaknesses in your game, but it is a superb and fair course, which doesn't depend on excessive length for its difficulty. A 'must-visit' if you ever get the chance. During a recent trip to the UK, this was my 2nd favourite course played. Only Cruden Bay was better. Not a boring hole anywhere on the course, plenty of blind shots, surprises and magnificent design features. Mature gorse and tall dunes wind around, so that each hole seems to keep you in its own little world. People were very friendly, too. And the value was tops. Get the all day package with two rounds, light breakfast, lunch and dinner. Also play the nearby Southerness course, which is almost directly across the Firth of Solway and quite remote. Uncrowded golf away from the crowd.